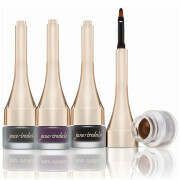 A retractable kohl eyeliner in a creamy smooth-gliding texture that contours the lash line for instant drama. 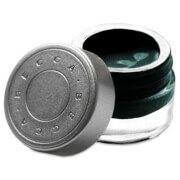 Creamy texture provides a smooth precision application that is water-resistant. Complement the eyes with a bold line or smokey appearance that stay’s put all day. Using Automatic Eye Pencil to line the inner rim of the top lash line for longer looking lashes and subtle definition. 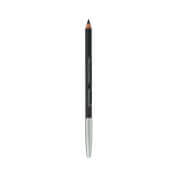 BECCA Automatic Eye Pencil can also be used to fill in dark, sparse brows. Apply directly to brow and comb through for natural definition. Cyclopentasiloxane, Iron Oxides (CI 77499), Synthetic Beeswax, Microcrystalline Wax / Cera Microcristallina, Trimethylsiloxysilicate, Mica, VP/Hexadecene Copolymer, Ferric Ammonium Ferrocyanide (CI 77510), Myristyl Lactate, C30-45 Alkyl Cetearyl Dimethicone Crosspolymer, Myristyl Alcohol, Tocopheryl Acetate, Tocopherol, Lecithin, Ascorbyl Palmitate, Glyceryl Stearate, Magnesium Silicate, Glyceryl Oleate, Citric Acid. Ingredients (INCI): Cyclopentasiloxane, Iron Oxides (CI 77499), Synthetic Beeswax, Microcrystalline Wax / Cera Microcristallina, Trimethylsiloxysilicate, Mica, VP/Hexadecene Copolymer, Ferric Ammonium Ferrocyanide (CI 77510), Myristyl Lactate, C30-45 Alkyl Cetearyl Dimethicone Crosspolymer, Myristyl Alcohol, Tocopheryl Acetate, Tocopherol, Lecithin, Ascorbyl Palmitate, Glyceryl Stearate, Magnesium Silicate, Glyceryl Oleate, Citric Acid.